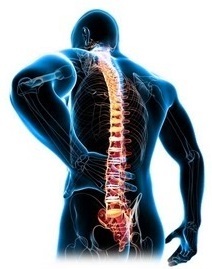 Back pain for many people is often experienced as a pain or discomfort located between the lower ribs and buttocks with or without the addition of leg pain.Symptoms can range from muscle ache to shooting pain, limited movement, altered walking and difficulty standing straight. If sciatica occurs along with the back problem, nerve pressure is experienced as pain that radiates down the leg and possibly into the ankle or foot. Pins & needles and numbness can occur too.Acute low back pain generally lasts for a few days to weeks and is usually as a result of trauma or arthritis. Low back pain that persists for longer than 3 months is considered chronic. As back pain is often multi-factorial, our Physiotherapists are highly trained to diagnose problems in the joints and soft tissues of the body. They will carry out a comprehensive assessment and treatment plan to help successfully manage your particular problem.Manual therapy such as spinal manipulation/ mobilization and massage are often used to alleviate symptoms and manage this condition in the acute stage. A home exercise programme will be devised to help restore muscular strength and re-educate accurate movement patterns. Your physiotherapist may advise other activities such as Pilates or yoga to help with the long term care of your back.Our Chartered Physiotherapists and Certified Acupuncturists may also help to relieve your back pain through the use of acupuncture or dry needling. For more information please see our pages on acupuncture or dry needling .